Chloë engages students with lively humour and an informal manner, while demanding the highest standards of mutual respect and focus. Working with traditional stories supports awareness of cultural diversity (citizenship). All storytelling nourishes social and emotional aspects of learning. – Suitable for multiple performances during a visit. – Short session (multiple): A selection of thrilling tales from the British tradition, suitable for all Years. – Workshop (minimum double lesson): Chloë tells a couple of British traditional stories. Students then devise or adapt a traditional story, drawing on those with a background of storytelling in their family and culture. – Includes discussion / Q+A about story origins and common themes. 🌀 Shakespeare Prequels & Sequels Workshop : devising and performing new stories based on characters and plots of the Shakespeare set text. Minimum double lesson. 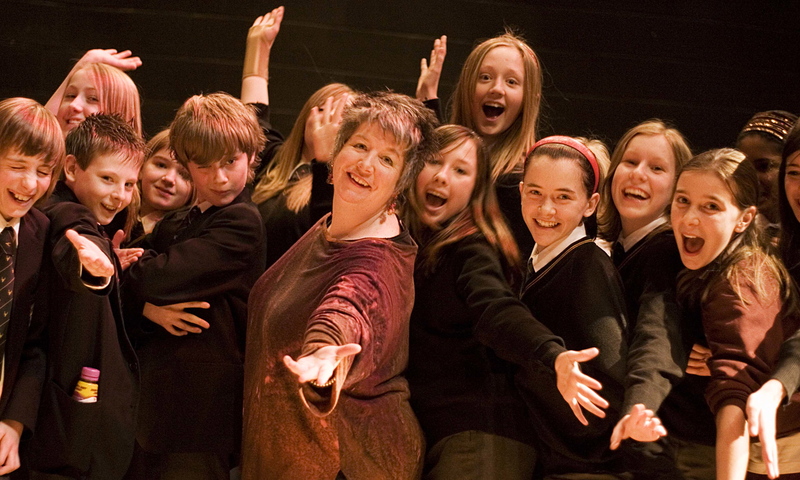 – Supports in depth understanding of the play; brings characters to new life. This workshop is inspired by the work of Peter Brook. 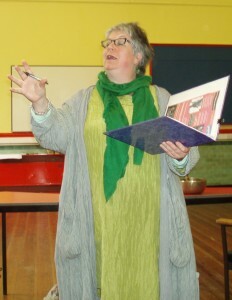 Students must have read through the full play before taking part in the workshop. – With Q+A / discussion. Suitable for multiple short sessions during a visit. – Suitable for development as school show and for technology input i.e. audio / video recording. 🌀 Bardic Battle a. k. a. S Factor Story Slam : Series of at least 4 x double lesson workshops per group, developing skills and pieces for competitive performance (solo, duo or small team) + Audition + Gala contest to an invited audience. – S Factor Story Slam is an (early) evening event to be held in a performance space. With small prizes and judged by audience clap-o-meter, class teachers and if possible at least one local ‘celebrity’. Entries can include many students if they work in mini teams. The whole year group or whole school – plus parents and governors – can enjoy the show! Art & Design – Story book illustrations; layout for Graphic Novel form. ICT – Recording and transmitting stories: PodCasts, Video, Animation; to include Drama students. Connecting traditional storytelling with modern technology. Modern Foreign Languages – I speak good French (formerly to degree standard) and retain some German, both with authentic accents. Can follow Italian and Spanish. I’d like to explore the creative challenge of delivering traditional tales at least partly in their original language. Geography + History – Encouraging students to explore the diversity of other ages, places and lifestyles in a way similar to the research and creative devising that I undertake for Tales from Every Port aboard cruise ships. if your school is 2 hours or more away, I strongly recommend that I travel and stay over the preceding night. "The Bardic Battle was extremely successful and that was down to the commitment you gave to the pupils... A real showcase event"
"Fantastic assembly for Y10 and Y11"